Offering luxurious Eco-friendly accommodation, Paramata Lodge is 5 minutes' walk from Paramata Bold Head Beach. The lodge offers guided beach walks and lagoon kayaking. Glacier hikes and scenic flights are available at Franz Josef Glacier. 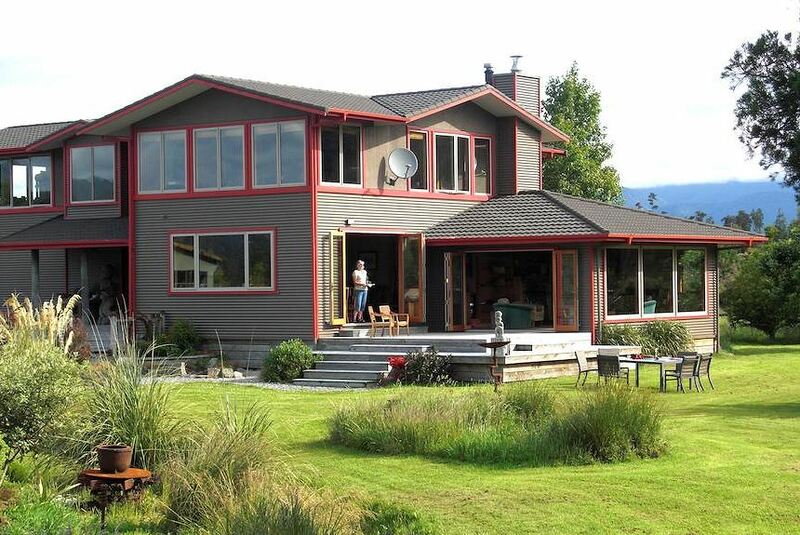 Paramata Lodge is 30 minutes' drive from Hokitika Central. Birding and Lagoon tours are available from the lodge with Kiwi and Okarito tours, located 1-hour drive away. Each room offers sea or forest views, deluxe bedding and bed linen. All rooms include a large tiled bathroom with a power shower. Some rooms offer mountain views. Paramata Lodge boasts a range of artworks and handcrafted décor. An array of activities can be enjoyed on site or in the surroundings, including kayaking and hiking. Free on-site parking is provided.